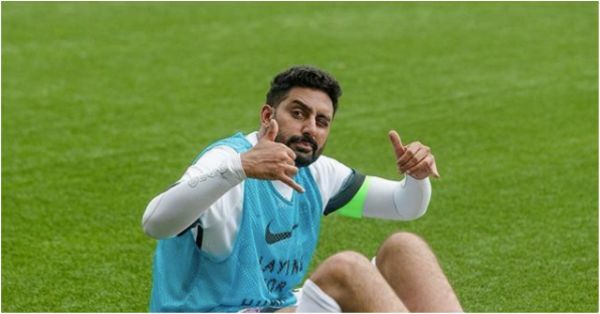 Who Knew Abhishek Bachchan Was Sarcastic AF? Check Out His Comebacks To Haters! Abhishek Bachchan is now officially the King of comebacks in Bollywood because he just slayed it with his recent replies to the trolls on Twitter. Haters commented that he was not worthy of being in the league with other Bollywood actors. We are loving how calm and composed and ahem...sarcastic Junior Bachchan was in his comeback to such tweets. Recently, Anurag Kashyap announced the premiere of his new film starring Abhishek, Manmarziyan. He also revealed that the movie will premiere at the Toronto International Film Festival. Trollers called out Abhishek Bachchan for not being worthy of the title, 'actor'. Junior Bachchan's reply to these tweets was unexpected, but sarcastic AF! Now, that is called handling haters like a boss! Oh… You “meant”… Chalo, I’ll consider it a Freudian slip. And BTW @TusshKapoor would be a great choice. Here's another tweet from a Twitter user who raised a question about his financial status and also brought out his recent family vacation into the same discussion. But Abhishek didn't keep quiet and gave him a fitting reply. Because, sir, I have several other businesses that I run apart from acting and producing movies. Sports being just one of them. Leaving you with some of Junior Bachchan's other comebacks to the haters when it felt like he had had enough. Abhishek, you have totally won our hearts with your cheeky responses. You are clearly the king of comebacks in the B-town!